PVCStrip.com carries a complete line of tools to help with the installation and customization of your PVC products. 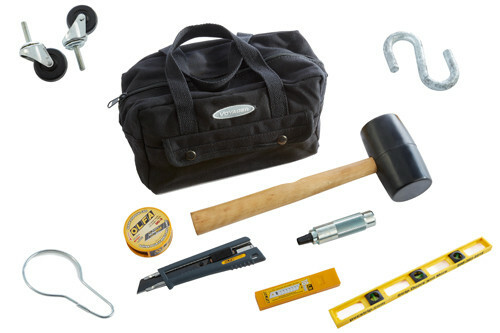 Complete tool kits are available that include a rubber mallet, cutter, hole punch and mounting template to help ensure accuracy and efficiency. All PVCStrip.com tools are highly durable and help create a professional appearance.